Deconstructing a Custom Exhibit: How Custom Is It? 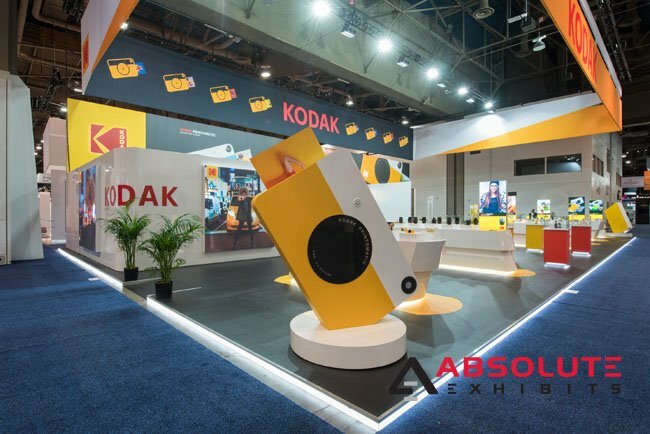 | Absolute Exhibits, Inc.
Deconstructing a Custom Exhibit: How Custom Is It? When an exhibit house claims an exhibit is custom, there are many things you can look for to determine if it’s truly custom. One of the strongest indicators is an irregular shape. Irregularly shaped exhibit elements mean the exhibit house had to make custom engineering designs and custom cuts to ensure that your brand receives a custom exhibit. Often, you find these with highly customized themes. It’s not every day you see items such as greenhouses, barns, airplane fuselages, and more on the trade show floor. These can all be considered custom because of their irregular shapes and custom cuts. Did you notice something special about that custom exhibit such as a custom cut logo? A C&C cut logo is specialty cut according to the 3D logo. 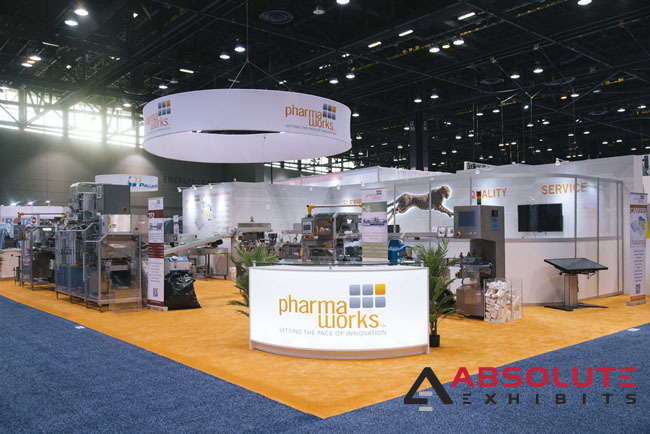 One such example is our recent custom exhibit at Pack Expo, Pharma Works, which featured a C&C cut cheetah logo. These kinds of cuts are indicative of custom designs and fabrications. The next time you walk a trade show floor, look to see how logos are presented and cut. You could be looking at a custom exhibit. System booths often don’t have custom curved cuts in their fabrication. They will feature boxes, and at times, convex shapes on the corners or above. However, a custom exhibit will take it a step further with more specialized curved cuts such as waves. These elements may be incorporated into a system exhibit, making it a hybrid, but if there are fewer system elements and more of these unique curvitures combined with any of the other items you’ve read about in this post, you’re most likely looking at a custom exhibit. 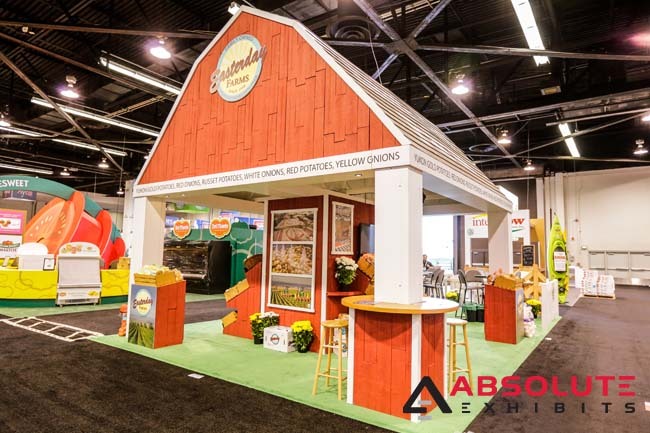 Additionally, curved tension fabric structures are also a dead giveaway for a custom exhibit and tend to stand out prominently on the trade show floor. Your average system or hybrid exhibit lacks one big thing- texturized walls. Whether constructed of faux brick veneers, texturized wood laminate, or a full LED wall, these custom elements are unique to custom exhibits. System and hybrid exhibits don’t feature these elements because they can’t be reused for the next trade show booth rental. For this reason, these texturized walls stand out on the trade show floor and draw the eye to the custom exhibit. Props are big on the trade show floor. Just look around at any industry show and you can spy everything from a life sized plush mascot to inflatable props, mini vehicles, and more. 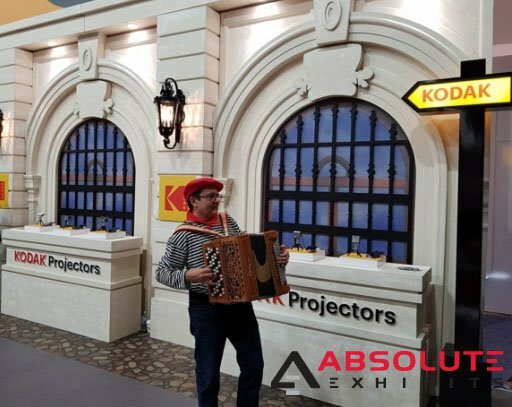 While these help to customize an exhibit, a truly custom exhibit often features technically advanced props such as backlit etched glass to convey 3d laser like props, or props with actualizers that spit out photographs, and more. The more highly technical the prop’s construction, the more likely it is you’re looking at a custom exhibit. Everyone claims they are able to customize your exhibit, but not all exhibit houses can deliver on that promise. More likely, they reuse the same elements that are really more in line with a hybrid exhibit. 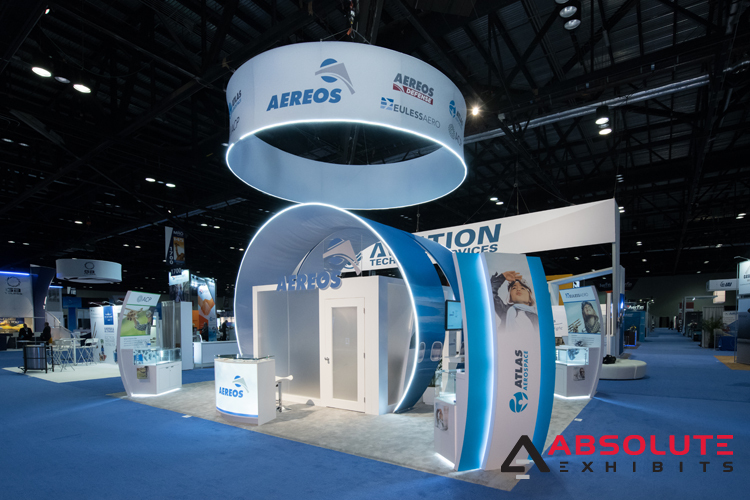 If you’re looking for a custom exhibit that can be designed to your specifications, give our experts a call today to start the design process.